Flavoured Durachew Nylabone is made from pure virgin nylon with baked-in flavour particles of real chicken meal. The bones are annealed after moulding resulting in a therapeutic chew device which is strong safe and very durable. The bristle-like projections that are raised on the surface of the bone as it is chewed massage the surface of the teeth and gums and help to prevent plaque from forming. 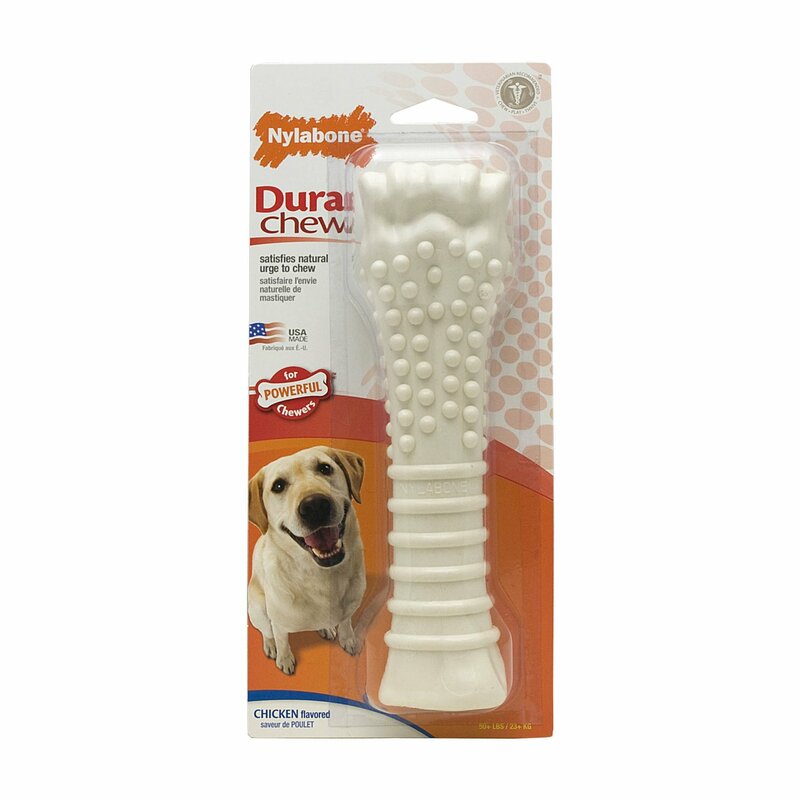 Chicken or Beef flavoured Nylabone performs in a similar way to original Nylabone and has all its therapeutic benefits however the additional chicken meal being a natural product can make the bone slightly softer than the original Nylabone.